We show you a simple segmentation to help manufacturers identify ways to grow their brands. One of the wonderful things about a country having a large population, like Indonesia does, is that there is something for every manufacturer. When we talk about consumers in the world of fast-moving consumer goods (FMCG), different consumer segments pose different opportunities for manufacturers, and this holds true even in mature categories like detergents and shampoo. Consumers differ in many ways, such as in their purchasing behavior, their attitudes and their levels of affluence. In order for manufacturers to identify potential in the categories they are operating in, and to subsequently develop good corresponding strategies and tactics, a good starting point is to put consumers into buckets based on their purchasing behavior. Let’s take a mature FMCG category like shampoo. Did you know that based on household panel research carried out by Kantar Worldpanel Indonesia, urban households in this country purchase on average 1.7 liters of shampoo in a year? How can we make better sense of this figure? Let’s go a step further to break down this aggregated number into something that gives a more interesting picture of shampoo purchasing by separating shampoo consumers into three buckets: heavy buyers, medium buyers and light buyers. This is done simply by selecting the top 20 percent of households who bought the most shampoo in a year and classifying them as heavy buyers; the next 30 percent as medium buyers; and the bottom 50 percent as light buyers. It is difficult not to notice that the quantities bought by these three sets differ significantly. This is not only true for shampoo but in almost every FMCG category. We divide consumers based on the quantity they buy to identify the heavies versus the mediums versus the lights. Like with shampoo, there will be a big difference in how much is being purchased by the three different groups. This simple segmentation is one way to help manufacturers identify ways to grow their brands. 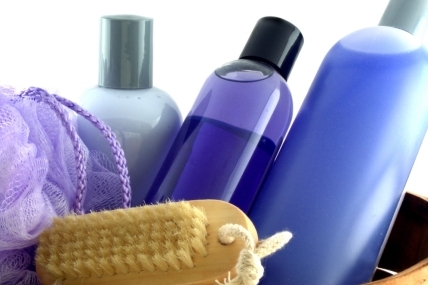 The heavy buyers of shampoo are already purchasing 3.7 liters per year, equivalent to 10.1 milliliter per day. These consumers are probably washing their hair frequently enough to give manufacturers less of a chance to increase their usage of shampoo. The way to move forward with this set of heavy shampoo consumers is to upgrade them to more premium shampoos, thus driving their value growth, or get them to use other hair products such as treatments and conditioners. On the other end of the spectrum, light users of shampoo are not yet well-developed, so the strategy with them is back to the basics of driving an increase in usage through the education on washing their hair more often. This example illustrates that many times consumers are varied in terms of their development when it comes to using various products, including shampoo. As marketers, there are two lessons that can be learned from this. First, the market you choose to serve is not always at the same development stage. Therefore, you should get to know your consumers and understand the opportunities that exist. Second, quantify each opportunity to set your priorities. Finally, adapt your marketing strategies to suit the various consumer segments that you wish to target. After all, not all consumers are the same and that is what makes the job of targeting consumers so exciting in this country. We have urban consumers who are more affluent and moving up the value chain for more premium and value-added products. But at the same time, we can’t forget that not all urban consumers are at the same development stage, as noted in the shampoo example. And then there are also the rural consumers of this country that may require different marketing strategies altogether. So, identify the different consumer segments that exist in your categories, quantify the potential of each consumer segment, prioritize which consumer segment(s) you want to target and lay out a solid marketing plan to reach your targeted consumers.